Diabetes type 2 is a lifelong condition that’s caused by the body not producing enough insulin, according to the NHS. The hormone helps to maintain and regulate the amount of sugar in the blood. Without enough of the hormone, sugar in the blood may not be converted into energy. Diabetes type 2 symptoms can include feeling very thirsty, passing more urine than normal, and unexplained weight loss. You could lower your risk of high blood sugar by taking daily capsaicin supplements, a nutritionist has claimed. Capsaicin is the compound in chilli peppers that makes them spicy. It’s also found in the spice paprika. The supplement may help to regulate blood sugar levels, and could be used as a treatment for diabetes, claimed nutritionist Dr Josh Axe. “Like many nutrient-rich foods and spices, paprika seems to have the potential to help regulate blood sugar levels and assist in treating diabetes,” he said. “When patients with diabetes consume paprika containing capsaicin, they better process the digestion and processing of sugars in the blood. 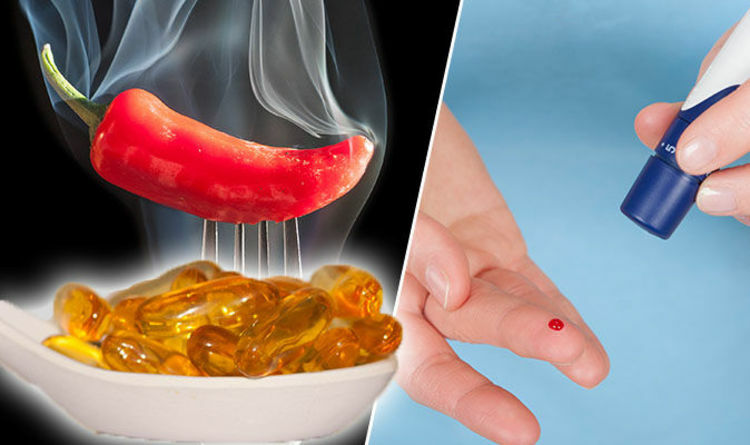 Taking capsaicin supplements could also help to relieve arthritis pain, the nutritionist added. Capsaicin has been used for years as a pain reliever in osteoarthritis, rheumatoid arthritis and fibromyalgia patients, he said. You could lower your risk of diabetes by eating a healthy, balanced diet, the NHS said. If you’re overweight, losing a few pounds could help to prevent the condition. Cutting back on alcohol may also help to lower your risk of diabetes. If you have diabetes, you’re more at risk of vision loss, kidney failure, cardiovascular disease and lower limb amputation. About four million people in the UK have diabetes, according to Diabetes UK.